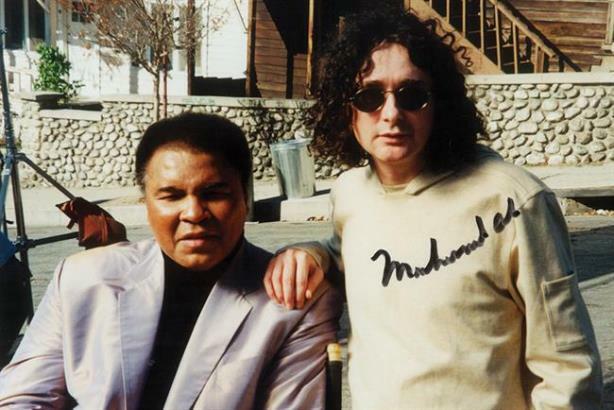 To mark the death of the legend Muhammad Ali, we republish the chairman and founder of BMB's heroes piece from Campaign's series on people who inspired and influenced adland's great and good. It’s February 1999, and I’m sitting alone with Muhammad Ali, in a restaurant overlooking the Thames. This is the man who, as a gangling Olympic hero, gold medal still dangling round his neck, had swaggered into his home-town restaurant and ordered a steak. "We don’t serve n*****s," the waiter had said. "I didn’t order a n****r," said the boy, "I ordered a steak." The boy left the restaurant, tossed his beloved gold medal in the Ohio River and placed himself at the heart of America’s civil-rights movement. Back in the restaurant, one diner can resist it no more. A woman appears at our table, thrusting a baby in the vague direction of Ali. "This is Muhammad Ali!" she shrieks. "When you grow up, you’ll be able to tell people you met The Greatest!" Ali was just 21 years old (and still called Cassius Clay) when he came to London to fight "Our ’Enery" Cooper in 1963. Young Cass wasn’t world champ, but he boasted 18 straight wins and no defeats.And, my, how he boasted. Clay didn’t just win his fights. He predicted the round in which he’d win. In rhyme. At the weigh-in. For Cooper, it was: "I’ll dance and I’ll jive. And if he’s still alive, he’ll fall in Five!" So he danced and he jived. And Cooper dumped him on his arse with a left hook in the fourth. But. Clay rose as the bell rang and stumbled into the arms of his cornerman and salvation, Angelo Dundee. And Dundee set to work. Not on his injured charge, but on a tiny tear he’d spotted in Clay’s left glove. The tear became a split, the split a minor crisis and invaluable recovery seconds were bought for The Boy Who Would Be King. The fifth round began, and Clay stopped Cooper in a blinding hail of unanswered blows. Just as he’d predicted. And the Legend of the Split Glove was born. That tale lived in my family for decades. That glove now lives in my personal Ali collection. And will never be sold again. Ali bamboozled the press as well as his opponents. He was both adman and product. He once chose to pose underwater for a photo-story in Life magazine. When asked why, he convinced the journalist it was a radical new form of "punch-resistance" training. Sounded plausible. Spooked his opponent. And it’s still widely believed today. But it was a scam. A beautiful illusion. Which became an icon. "Ah shook up the world!" As we finish our dinner, Ali whispers me a question. "Wanna know the greatest thing you can give another person?" Gulp. "Erm … love?" I venture, meekly. "Nope." Thought not. I toss my gaze like an unwanted trophy into the Thames. "Your time," Ali says. "The only thing no one else can give ’em. Give folks your time, you go to heaven. Wanna go to heaven, don’t cha?" As we leave, they descend. Everyone wants to touch him. Tell him how much he’s touched their lives. They’re crying. I’m crying. A river. It seems so utterly draining, but Ali absorbs public affection the way he soaked up the clumping blows of George Foreman in Zaire. His hands are shaky now, but his reach just keeps getting longer. And everyone wants to shake the hand that shook up the world. In this of all years, heaven can wait. But they’d better have a table reserved by the window. Overlooking the river, of course. Trevor Beattie is the chairman and founder of BMB.